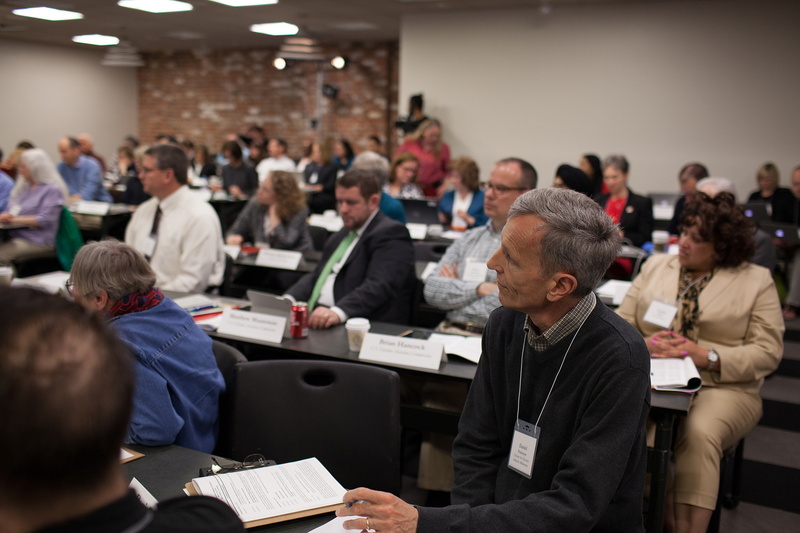 EVN gathers essential elements and experts to educate election officials and administrators on issues involving best practices, voting, voter registration, and polling places, to solve specific challenges, and to address special circumstances. EVN’s invitation-only annual conference is a nonpartisan event that presents cutting-edge perspectives and U.S. election knowledge. We bring together keynote speakers, experts and thought-leaders – conversant in a range of election and voting issues – with regional, state, and national election officials, and administrators. Topics discussed at the conference include voting systems, technology and security, voter registration, election integrity and verification, and contemporary, emerging concerns. During the conference, participants exchange information on innovative tools and strategies for maximum voter participation and verified elections, explore new research, and enjoy the opportunity to educate and be informed across disciplines in an open and collaborative environment. Check back for information on our EVN 2019 Annual Conference or send us your information to receive 2019 updates. We’ve both developed and curated articles to help those responsible for election processes and integrity identify issues and learn about solutions and strategies that other professionals have successfully applied. Broken Ballots: Will Your Vote Count? Douglas Jones and Barbara Simons take an in-depth look at U.S. voting technologies and their impact on voters and elections in their excellent book, Broken Ballots. The Election Verification Network 2018 Annual Conference was held March 14-16 in Miami, Florida at the University of Miami Law School. The 2016 conference was held at the George Washington University in Washington, DC on March 10-12. The 2015 conference was held at the International Hotel in New Orleans, Louisiana on March 5-7. The 2014 Election Verification Network Conference was held at the Bristol Hotel in San Diego. Video highlights from select presentations include the Opening Ceremonies with the California Secretary of State Debra Bowen and a Fireside (“Firewall”) Chat with Howard Schmidt, Ridge Schmidt Cyber LLC, former chief advisor on cybersecurity to Presidents George H.W. Bush and Barack Obama.